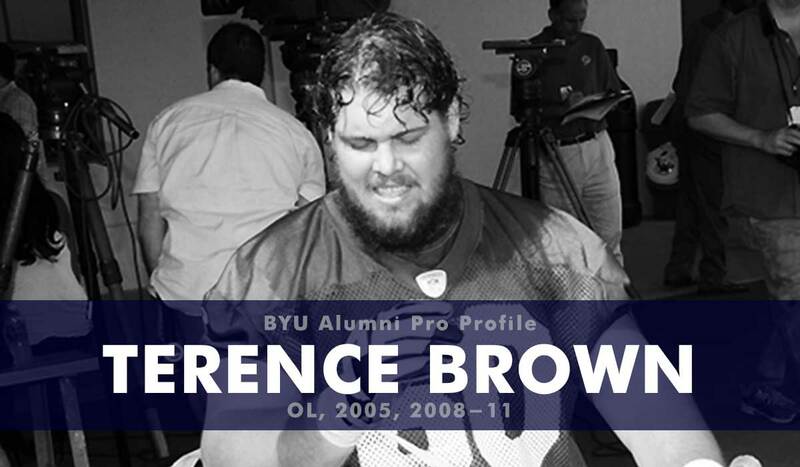 At BYU Brown was a four-year letter winner and three-year starter, playing both guard and center. After playing as a freshman he served an LDS mission to Brazil. Following his mission he redshirted and then was a College Football News All-Sophomore Team honorable mention, an All-MWC honorable mention as a junior, and as a senior he was named to the Remington Trophy watch list. After going undrafted in the 2012 NFL draft Brown was signed to the Miami Dolphin’s practice squad but was waived prior to the regular season. Brown played in the Arena Football league in 2012 and then took as position as an advisor at the Links Consulting Group. Today he is the founder and lead advisor at Left Tackle Advisors in Raleigh, North Carolina.